World Wide Web – October 14, 2018 Christine Handy is a bestselling author, mother and breast cancer survivor living in Florida. Her novel “Walk Beside Me” is a story that centers on a breast cancer survivor’s journey to health and wholeness. It is a fictional interpretation of Christine’s actual illness and long road to recovery. “Walk Beside Me” was recently signed for film production by Ziad Hamzeh, and will be titled “Willow”. The new movie creation will be formally announced during breast cancer awareness month, to create a further dialogue on the devastating disease that affects one in eight US women (about 12.4%) over the course of her lifetime. Award winning actress, Sheena Colette will play the lead character, Willow Adair. 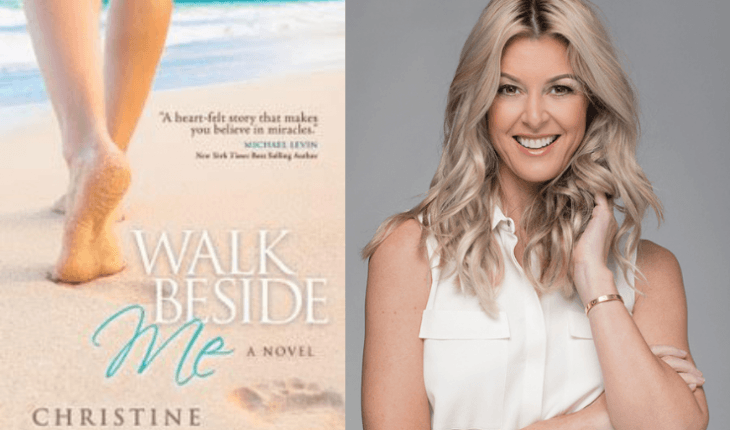 “Walk Beside Me” weaves a heartfelt path of hope, prayer and friendship as a woman fights her illness. It is a story of miracles and survival. The book was a national best seller in 2016. As of January 2018, there are more than 3.1 million women with a history of breast cancer in the U.S. This includes women currently being treated and women who have finished treatment. Christine’s personal story has been featured in prestigious magazines like American Volkssport Association, Edge, Inner Realm, The Art of Healing; Kindred Spirit, Outreach, and more. Christine has also been featured as a breast cancer advocate and expert on Fox News Radio. Production for the movie is anticipated to begin in 2019.